T-Mobile announced late Thursday that it would begin selling the iPhone to its customers next year, though it won't offer a discount on the device like rivals Verizon, AT&T and Sprint. T-Mobile CEO John Legere said at an investor meeting in Germany that it would offer discounted voice and data plans for the iPhone in exchange for customers buying their iPhones at full price. 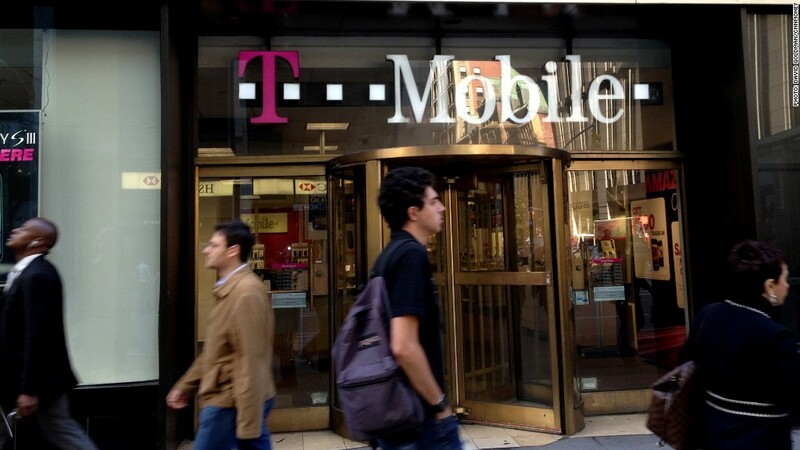 In fact, T -Mobile plans to do away with traditional subsidies in general in 2013. Typically, customers buy smartphones at a substantially reduced price, which the cell phone carrier makes up over the course of a two-year contract. Though T-Mobile didn't give many specifics on how the new plans would work, the company's current "value plans" -- which do not subsidize the cost of a phone -- currently run about $20 per month cheaper than the "classic" plans that do offer a phone subsidy. Unlimited data, voice and text currently cost $70 a month with T-Mobile's value plan and $90 a month with the classic plan. T-Mobile's value plan is essentially how the carrier serves iPhones now. Legere said T-Mobile currently has about 1.7 million customers with "unlocked" iPhones that customers bought either from a different carrier or for full price from Apple (AAPL). The main difference in how T-Mobile will now handle the iPhone is that it will soon offer the device directly to customers. Legere said selling the iPhone puts the company on equal footing psychologically with customers. A number of customers wouldn't even consider T-Mobile because it didn't carry the iPhone, he noted. But without the subsidy, the iPhone costs between $650 and $850, depending on the device's storage capacity. That's a hefty up-front price tag. For customers that don't want to pay for the full cost of the phone, Legere said T-Mobile will offer a lease option. Customers will essentially be able to rent the iPhone for $15 to $20 per month after paying $99 upfront when the customer signs a two-year contract. T-Mobile customers will be able to trade in their iPhones at any time and get a credit towards another phone. Legere said T-Mobile will be able to make money on the venture by reselling refurbished iPhones, for which there is a high demand. Currently, 80% of T-Mobile's in-store activations are for value plans, Legere said. By eliminating traditional subsidies, the company can market substantially reduced plans in an attempt to get a leg up on the competition. Verizon (VZ), AT&T (T) and Sprint (S) do not offer reduced rates for customers that buy their own devices. "Customers are really, still, pissed off at very unpredictable billing, very unclear pricing, restrictive and confusing upgrades and unfair treatment of loyal customers," Legere said. "This whole way that we sell them a phone and bury the costs into a long-term contract and tie them in, we think there is huge room for a challenger to change some of that. Competitors won't be able to respond to that." Legere said the iPhone deal will be profitable by 2014 due to the lack of a subsidy. He also noted that its value plan customers typically stick with the company for two more months than traditional customers. As a result, Legere predicts the new plans will get the company to a customer retention level above 98%. By the end of the fourth quarter of 2011, that rate was at 97% -- far lower than its bigger competitors.